If you ever happen to travel to the Indian state of Uttar Pradesh, do not miss the chance to travel this state by road. In its bylanes are many hidden gems. Scenic beauty, traditional culture and food, U.P as its called in India, has it all! 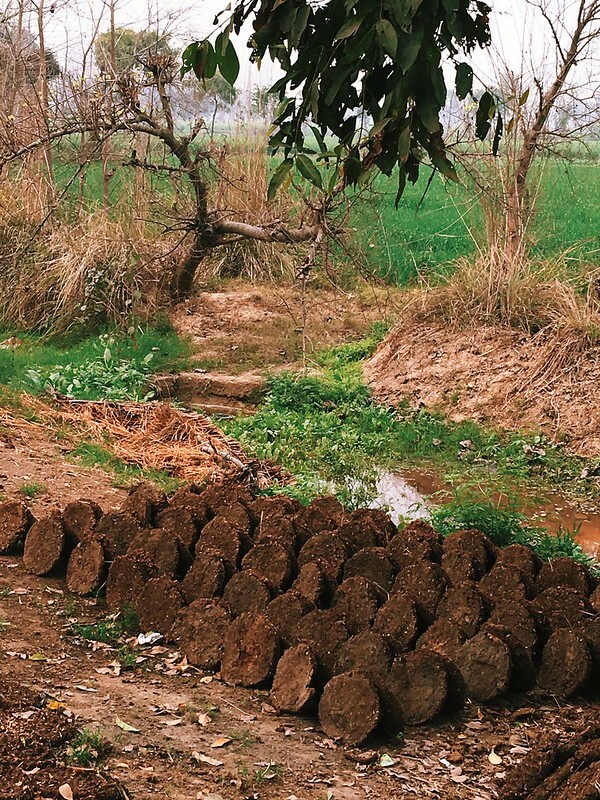 Road travel is the only way you get to see the real India. 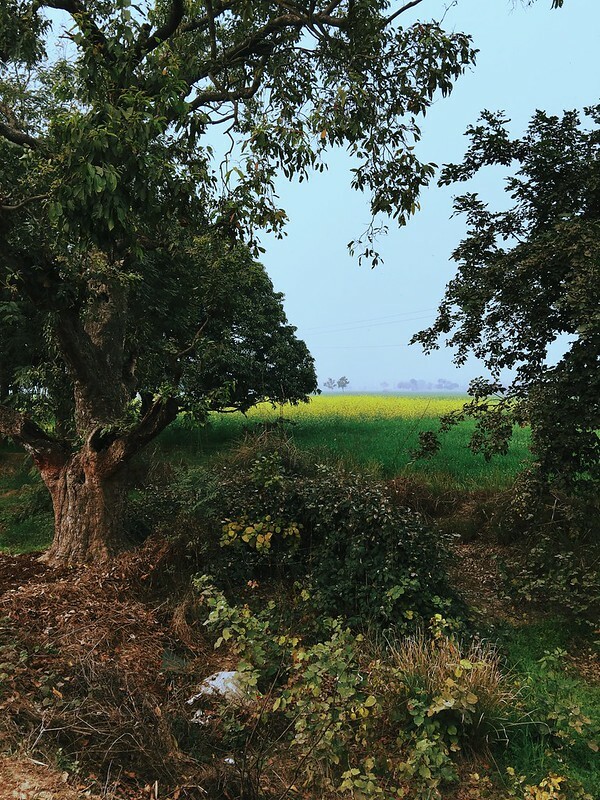 Glimpses of farmers, fields, villages and towns as one traverses on a national highway, highlight the immense diversity, heritage and culture of India. Being on a national highway always gives me a high and as my airplane landed in Delhi, I looked forward to the journey ahead. 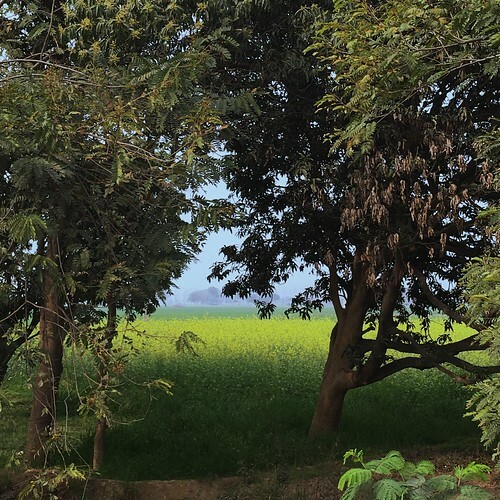 I have often taken this route from Delhi enroute Vrindavan, but this time my car had to make a detour and instead of going on the beautiful Yamuna expressway, a diversion had to be made. 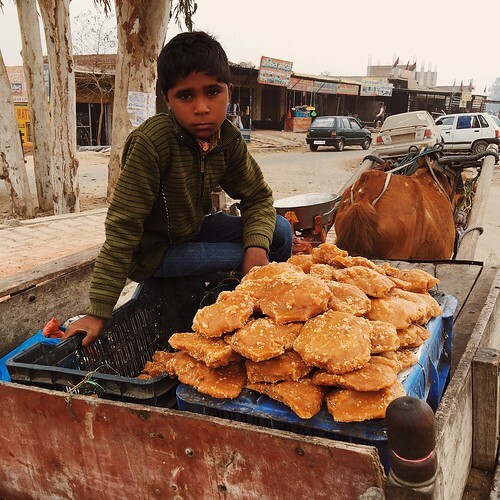 The first sight that captured my heart was carts of fresh jaggery being sold throughout the belt. 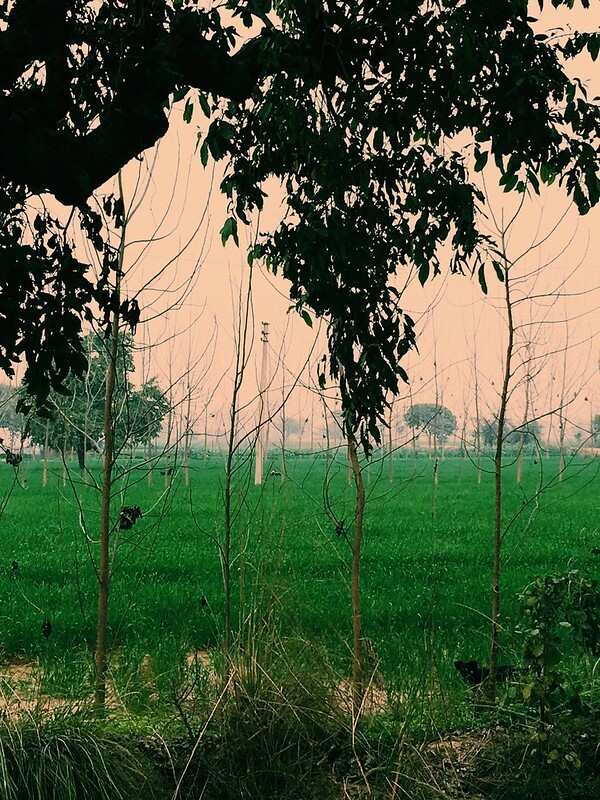 Mustard fields lined with polar trees, eco friendly fuel made from cow dung, artisans crafting clay pots and heaps of street food are some of the delightful scenes that I could capture. 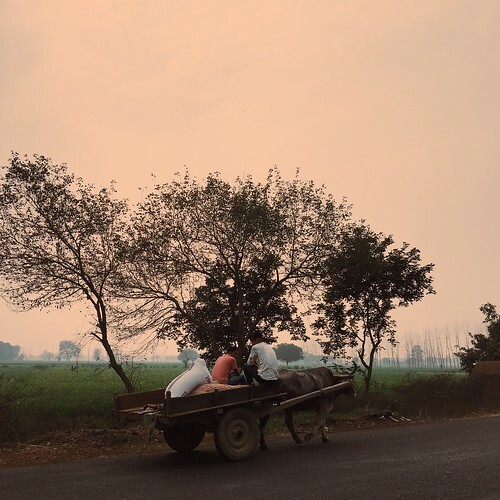 Bullock carts on the road make for a captivating sight and also give us a glimpse of ancient times when there were few modes of transport and this why I love capturing bullock carts, that in a way take me back in time. 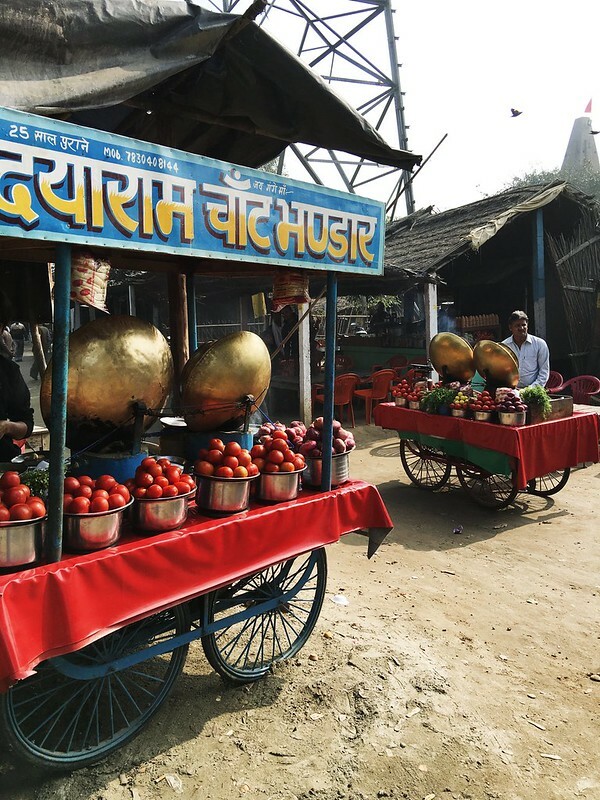 On my way back to Delhi airport from Babrala, I came across this charming little spot with many carts selling chole khulche, a very popular street food in U.P. 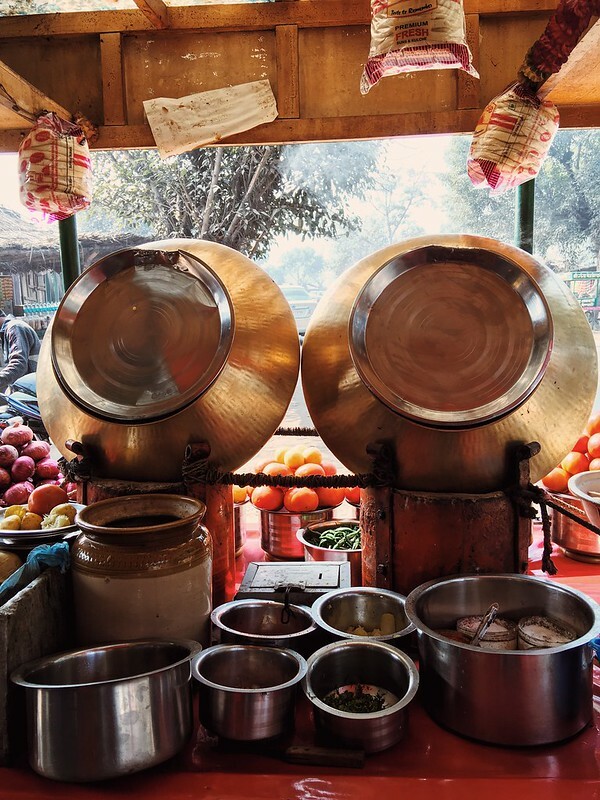 These carts, holding two inverted brass utensils made to stand mysteriously were quite intriguing as I spotted them in many areas throughout the belt. 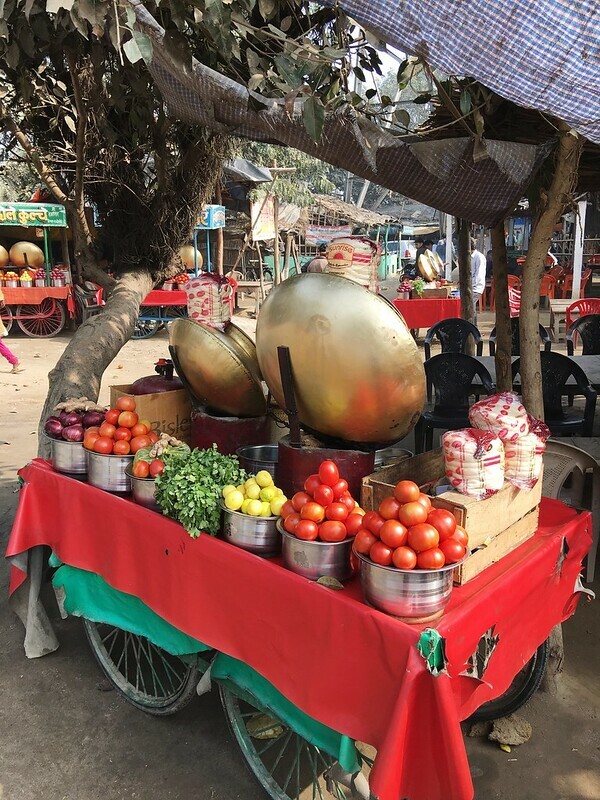 The spot where I asked my driver to stop looked nothing short of a movie set dotted with bright coloured vegetables, gleaming brass utensils, hot steam coming from freshly cooked food and endearing cartmen trying to sell their wares, which in this case happened to be the very delightful street food, chole khulche. 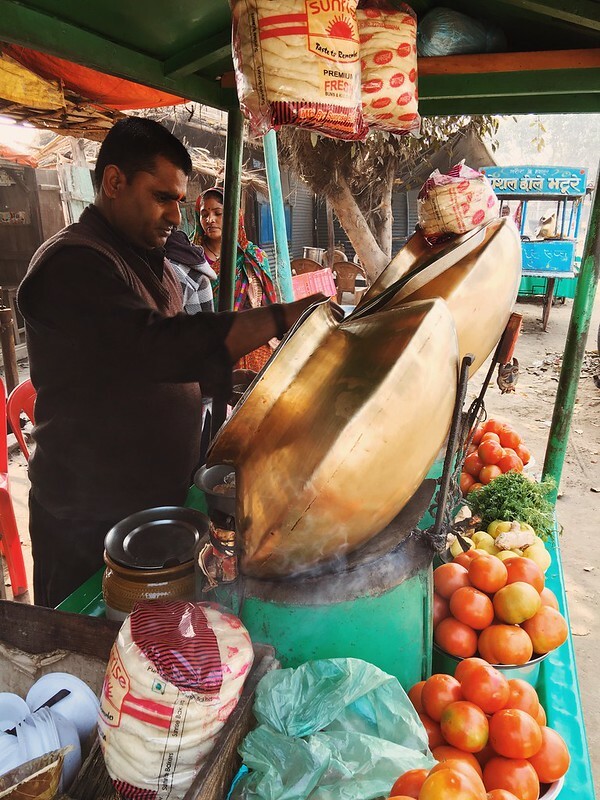 I’m quite skeptical about street food, but the cart I happened to stop was clean, neat and the hot steam coming from the burning coals showed a lot of promise. 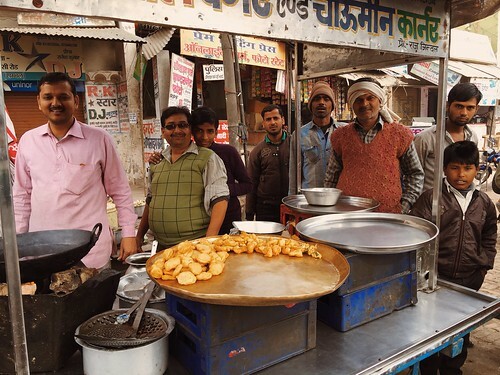 The chaatwala bhaiyya (brother in Hindi) quickly assembled some chole khulche for me as I had very few minutes to spare. 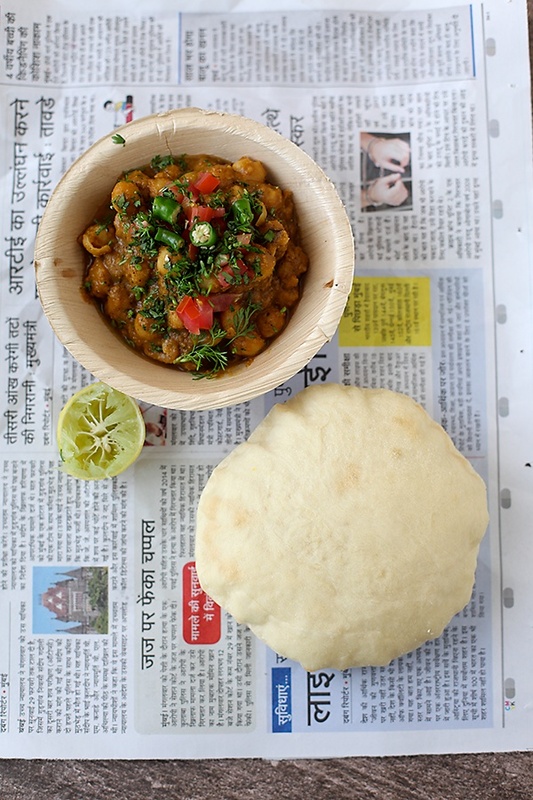 Discovering chole khulche from this little space was one of the highlights for me and back in Mumbai, I tried to recreate this memory by making chole khulche again. Having made notes about the spices from these cartmen who were quite generous with sharing the information, was quite helpful and it helped me to get the right balance of flavours. Thanks to this meal, I was able to relive a part of this beautiful experience and I look forward to going back to U.P again to discover more hidden and unhidden gems like this. Wash and soak the chickpeas in plenty of water overnight or for 24 hours. (Soaking this longer helps to remove the gas causing compounds, the white frothy substance that collects on the top is what you need to get rid of). Drain the soaking water and pressure cook the chickpeas with water until tender, 10 to 15 minutes on low heat after the first whistle. If you have the patience or dont have a pressure cooker then cook the beans in a stock pot until tender, about 45 minutes to an hour. In a blender put in all the spices and the spice powders and blend to a coarse powder. Put in the chopped tomatoes, ginger, green chili and coriander and blend to a smooth puree without using any water. In a wok or kadhai, heat the oil and once the oil is hot, stir in the shahi jeera and after a few seconds, put in the asafetida. Then you need to add the spiced tomato puree and cook till the oil separates from the tomatoes on medium low heat, stirring in between, about 5 to 8 minutes. Mash the tamarind with your hands and extract the juice using a strainer. (You can also do this while adding the tamarind into the chickpeas by holding the strainer over the chickpeas). 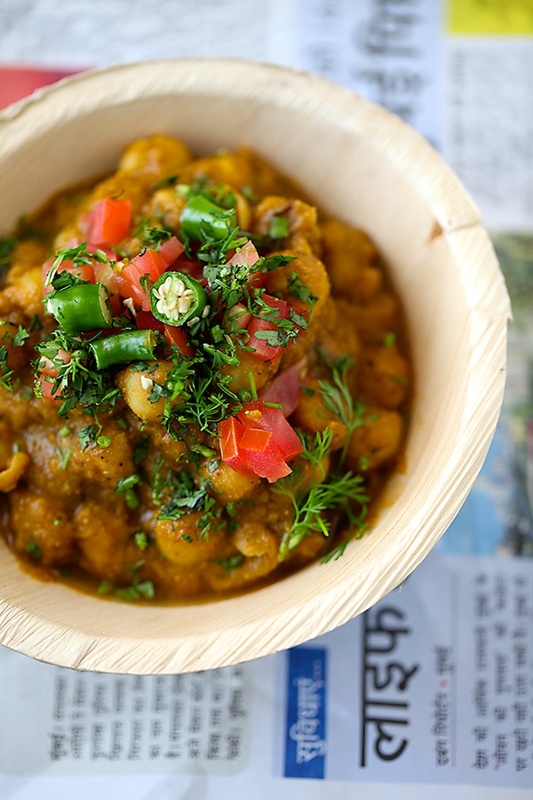 Put in the cooked chickpeas, the cooking water, the tamarind extract and cook till the water is reduced and you get a gravy of the required consistency. Stir in the chat masala and salt and turn off the heat. Garnish with fresh coriander and chilies if you like and serve hot with rice or Indian breads. In a bowl put in the water, stir in the yeast and sugar and allow to rest for about 10 minutes or until the water starts to froth on the top. In the bowl of a stand mixer or in a bowl, put in the flour and salt and mix. Once the yeast froths, stir into the flour mixture, alongwith the yogurt and oil. Mix well using your hands (or paddle attachment in a stand mixer). Then you need to knead the dough for 3 to 4 minutes, until the dough is smooth and elastic (use the dough hook if using a stand mixer). 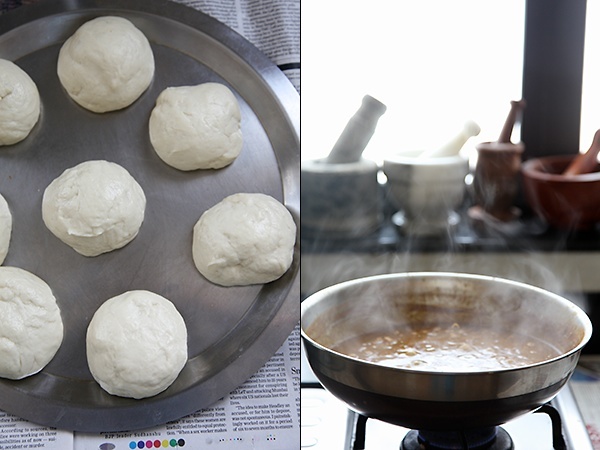 Spread some oil over the dough and allow to rest for 1 ½ to 2 hours or until the dough doubles in size. Once the dough doubles, divide into 8 equal parts. On a flat surface, roll the dough into a 4” or 5” circle and place it on an oiled baking tray. Pre heat the oven to 200C/400F. But today , I was browsing your website few minutes back and then suddenly this post popped up and I was wondering its late night in India and you are still working. Hats off to you! Couldn't resist not to add my comment. Cheers ! I am sure I am not the only one inspired from you. I'm new to the sattvic diet, and wanted to know what is the best way to substitute onion/garlic in a recipe. great endeavour to please others. I feel more than work and following your passion its a service to mankind to present such refined and spectacular culinary skills of a vedic aspect, defying the need to consume non vegetarian food. I sincerely pray you touch the summit of success in your work. Thank you. You know what…i havent even read this post yet and i cant thank you enough for this recipe. Such is my faith in your recipes..
what's in the inverted brass utensils. what a gorgeous blog post! Excellent write up and recipe Anu. Ritu- Thank you for breaking your silence. I'm very happy to read your message. Glad that you appreciate my work! Look forward to hearing more from you. Maya- You can try using hing and cabbage. Study my recipes in detail and you will get a hang of it. Feel free to come back if you have more questions. Rameshwari- Thank you for your amazing wishes and for valuing the work that I do. Bhavana- Thank you for the faith! Recipe updated! Swarna- Great to know that! This post just took me back in time and I want to be there. I absolutely love love travelling and stopping at highway eateries is a favorite. Nothing like India. 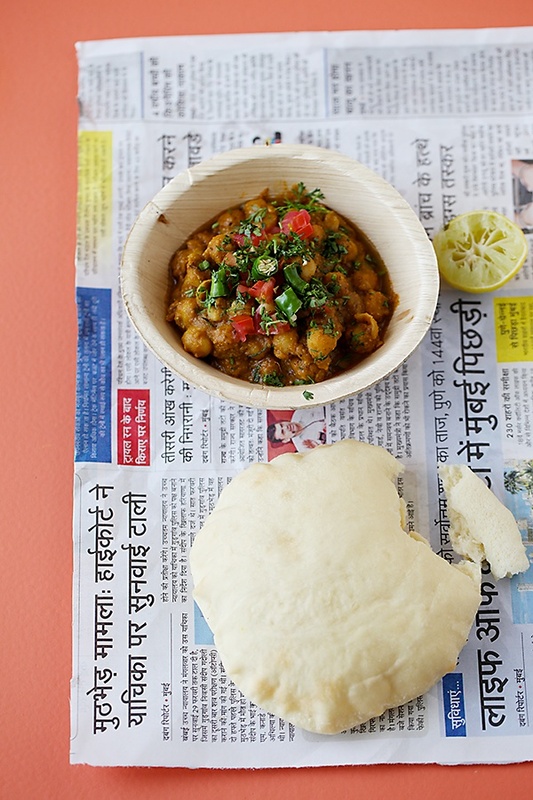 There's no question about the love of kulcha chole..so yum. perfection!! Rameshwari- Thank you for your invitation. I feel blessed to have you as my reader and to receive this invitation. Anushruti, you say you are trying to eat and cook healthy food. But I wondering that you use yeast. It is now not a secrete how harmful instant yeast for our digestion! I am sure that before instant yeast became widely used all over the world people cooked everything without it using wild yeast, used natural fermentation. And wild fermentation makes all this food much more healthier. 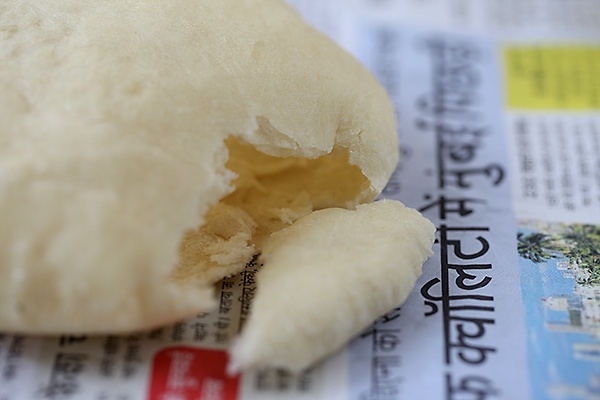 Please if you can share with us bread recipes (esp south Indian) without yeast and Eno salt with is also is bad for us. Thank you in advance! 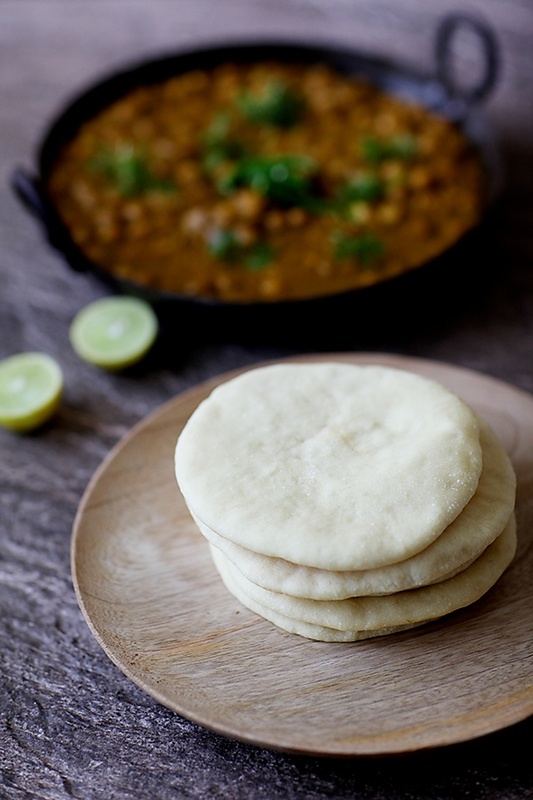 I've been wanting to eat chole kulcha for some time now. Will try this for sure. Loved your pics of UP. Anu- Thank you. Hope you will love this! Vir- Good to know that! Hi, thanks for posting this article, actually this is almost every man recipe. 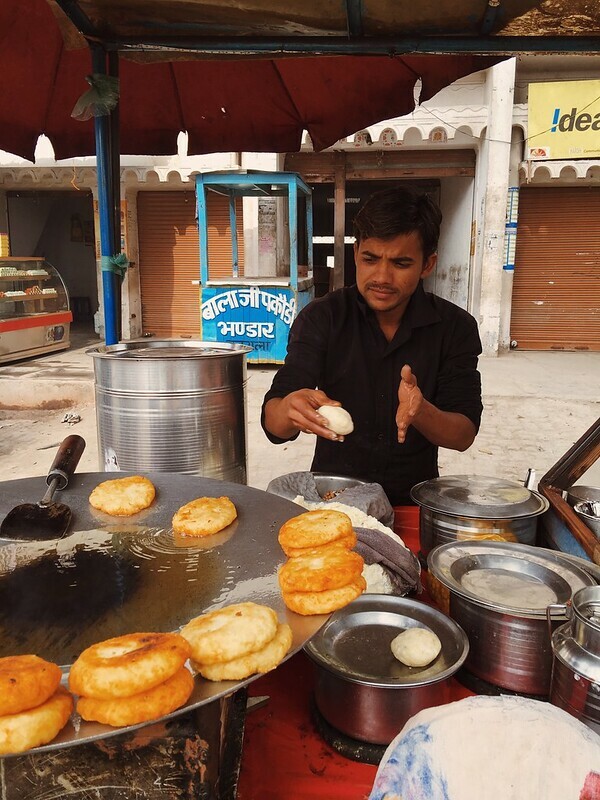 I used to have it once a week in Chandigarh, either bhara-hua-khucla or kulcha with gravey choley and both are just awesome to eat. 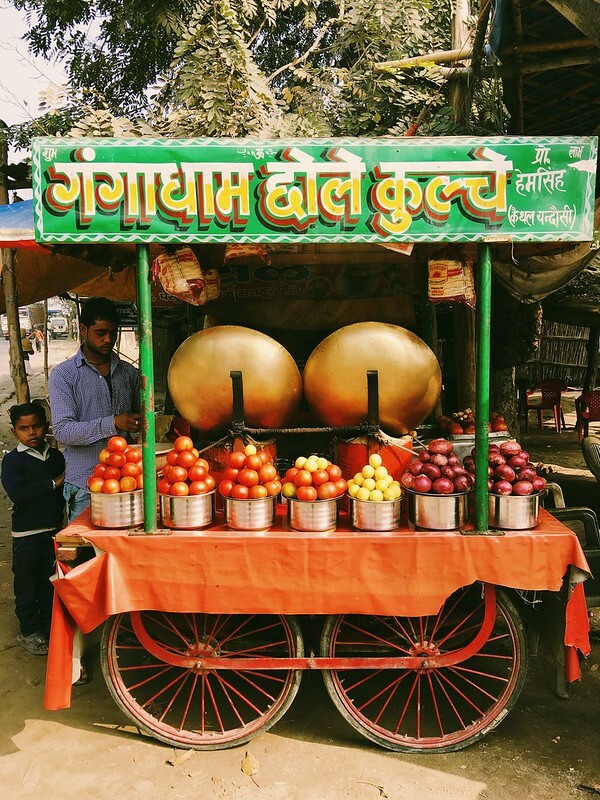 It is best, cheap and tasty street food in India. vikas- Thanks for sharing your experience. 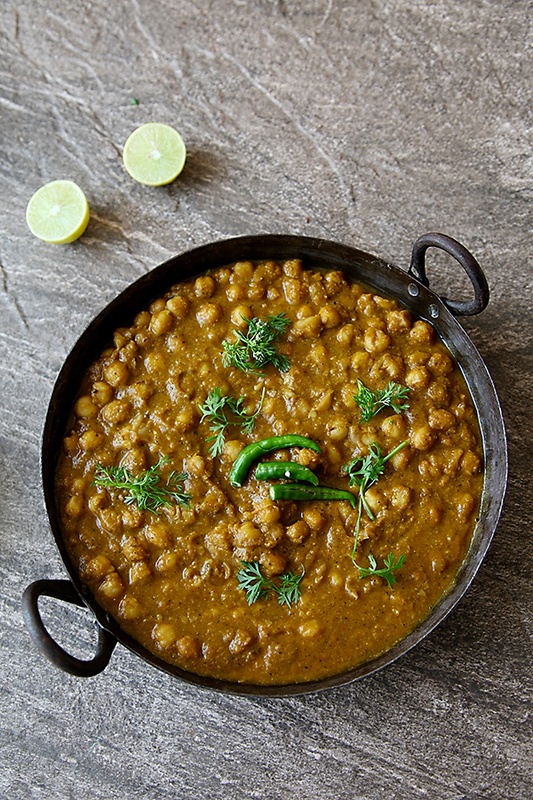 I made this khulcha for dinner to serve with dhal curry and it was delicious! It was easy to make and very soft and moist. Thank you so much for sharing this recipe. Eesha- Great to know this. Thanks for the feedback! I literally started having hunger pangs halfway through the post. It looks amazing and I bet it also tastes delicious too. It is the perfect dish to satiate our sugar cravings in this rainy season. I can’t wait to try it this weekend. Looking forward to reading more delectable recipes in the upcoming posts.